300mmHg with NON STOP PIN. It has a latex free inflation system and adult Velcro nylon calibrated cuff. This unit comes standard with a vinyl zipper case. 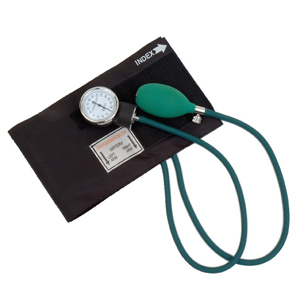 The CM-1251 is an economical and reliable latex free aneroid sphygmomanometer. 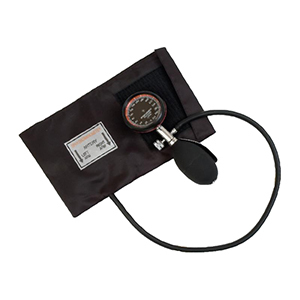 It comes with a durable adjustable manometer calibrated to 0-300mmHG and an adult calibrated nylon cuff. It has a latex free inflation system and air release valve with spring. This unit comes standard with and a vinyl zipper carry case. Available in coloured sets of Navy Blue, Blue, Magenta, Red, Green, Orange, and Black.